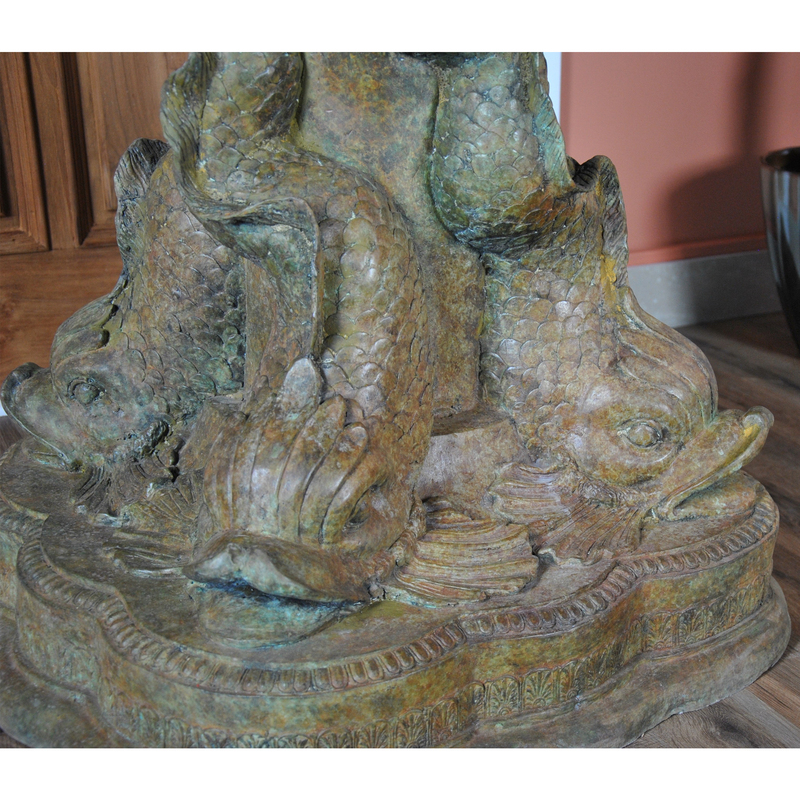 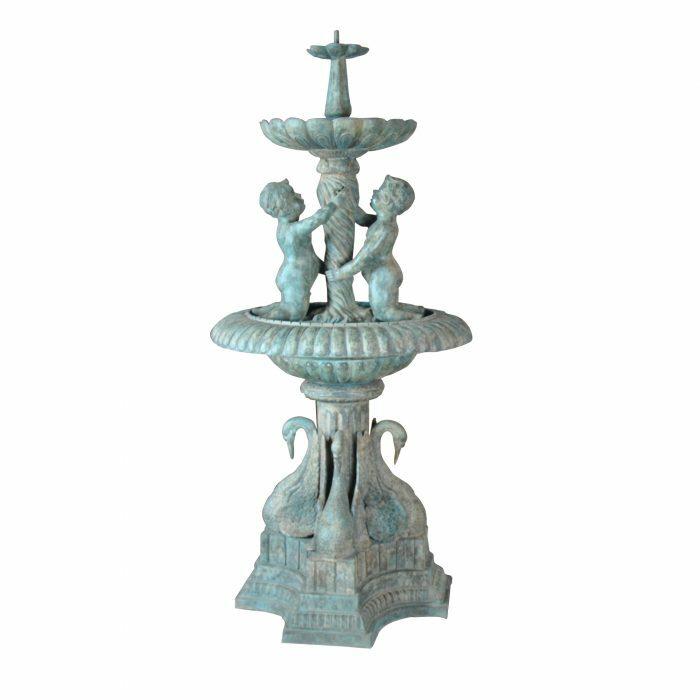 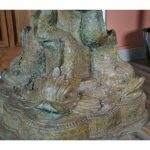 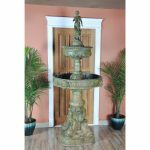 A larger and very decorative fountain the Bronze Lady on Fish Base Fountain features a classically adorned woman on the top, two large tiered bowls in the center of the fountain and large stylized dolphins supporting the entire structure. 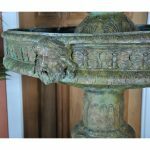 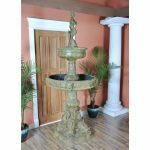 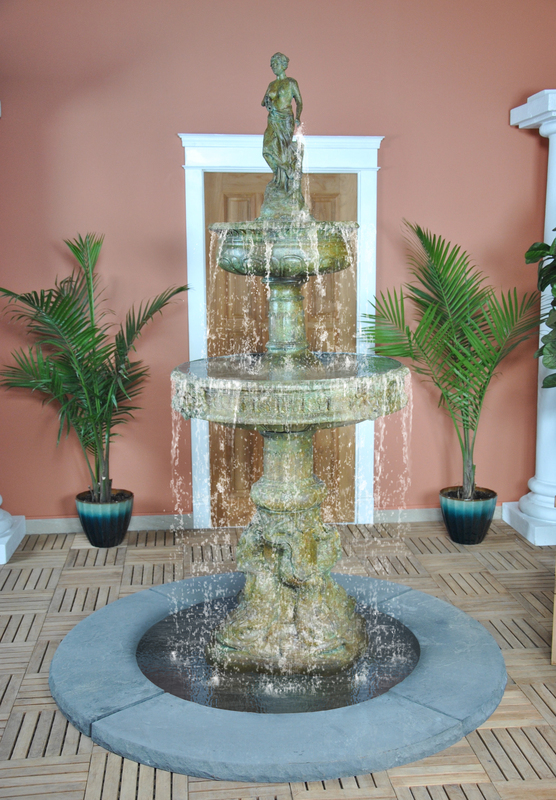 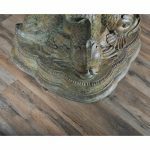 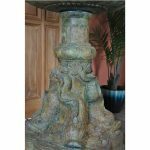 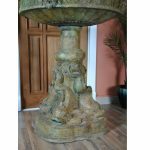 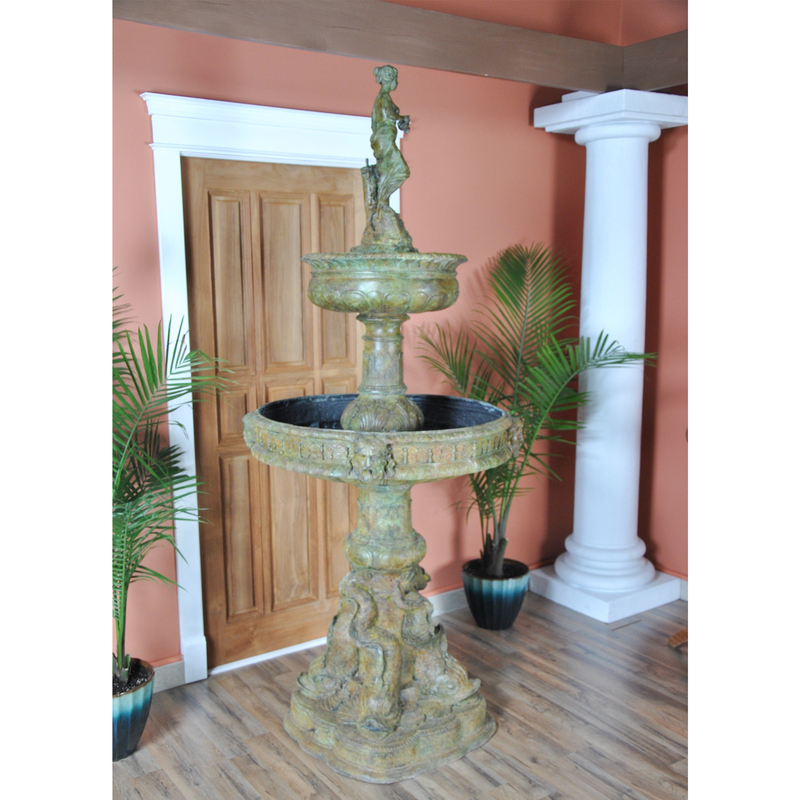 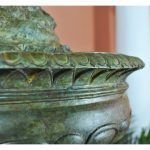 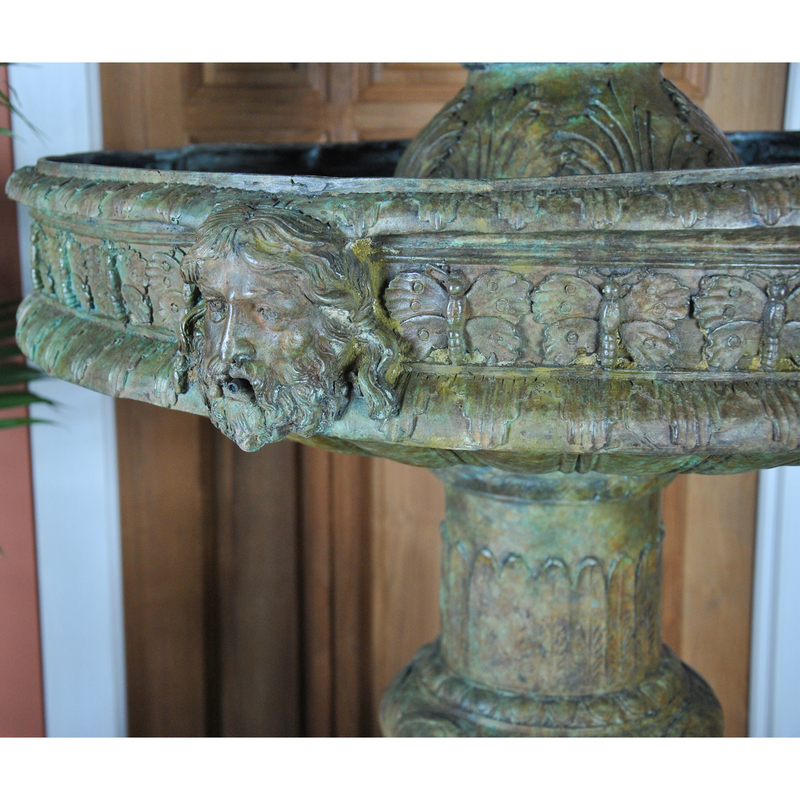 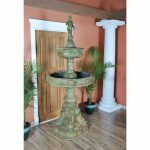 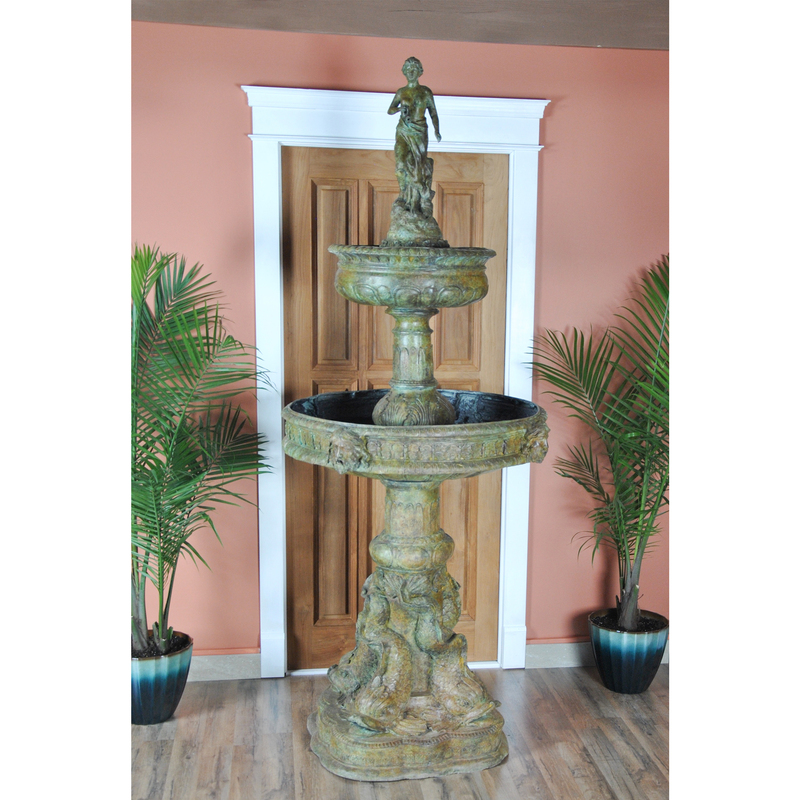 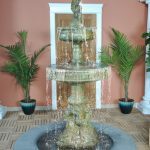 Reminiscent of fountains found in formal, antique and traditional gardens this piece will be certain to impress as well as adding dimension and beauty to your yard. 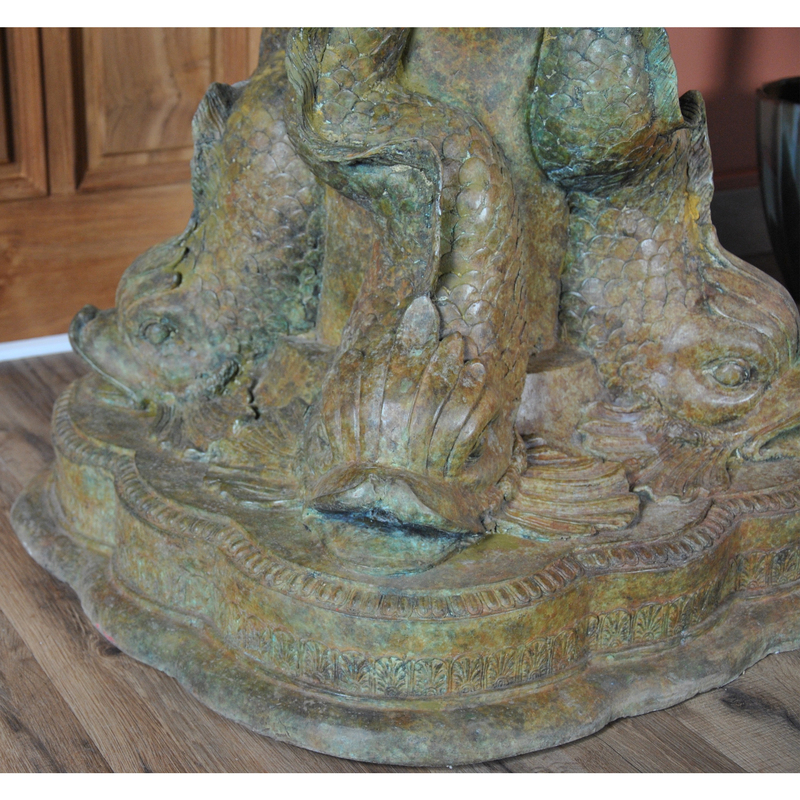 Finished in a multi stage, time consuming process the item is beautiful to behold from every viewing angle. The rich shades of green resemble the natural patination process which develops when bronzes are left outside for generations, thus giving our statue the look of a beloved antique item. 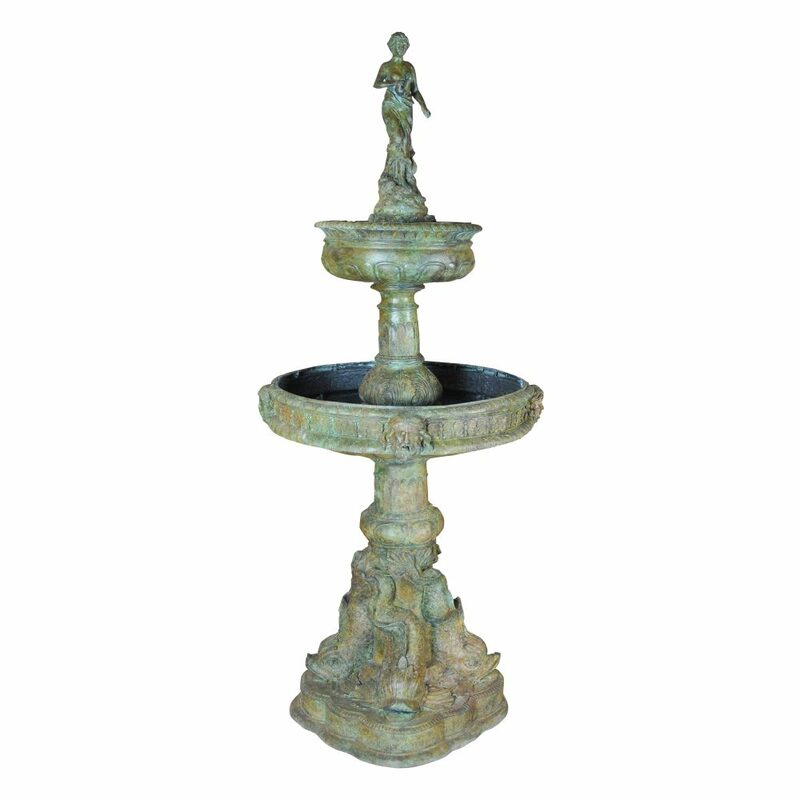 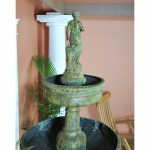 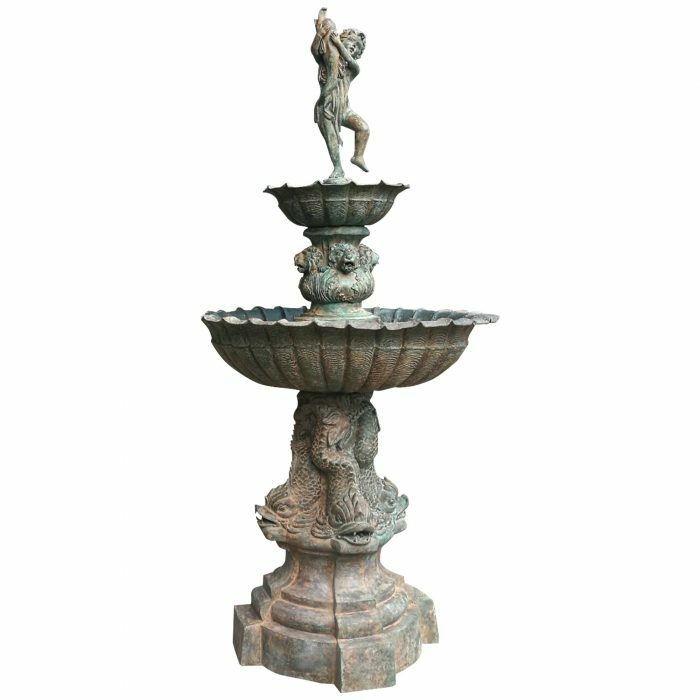 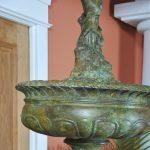 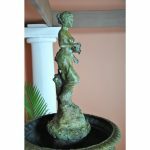 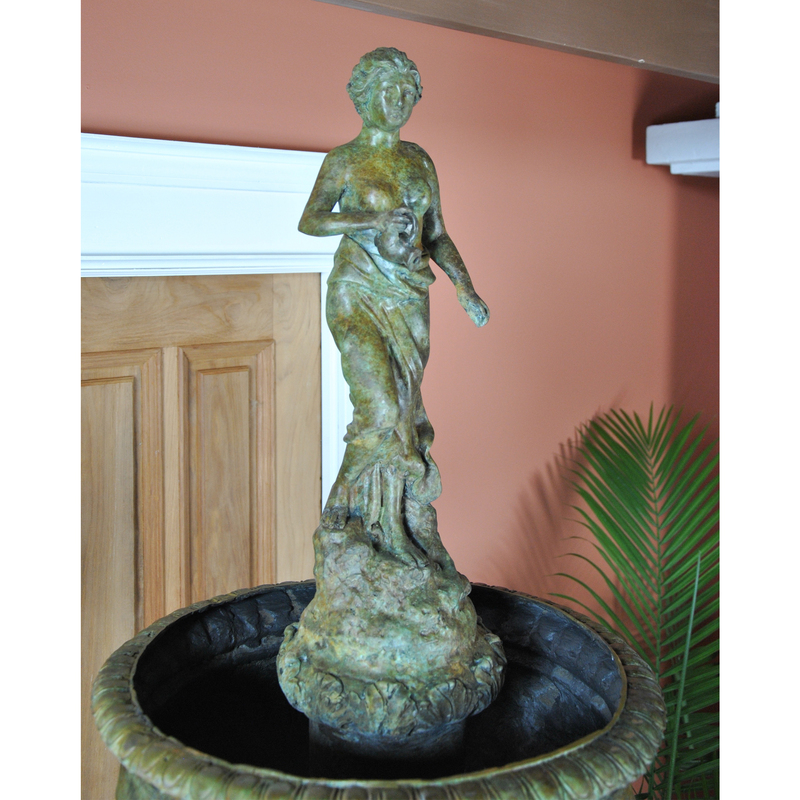 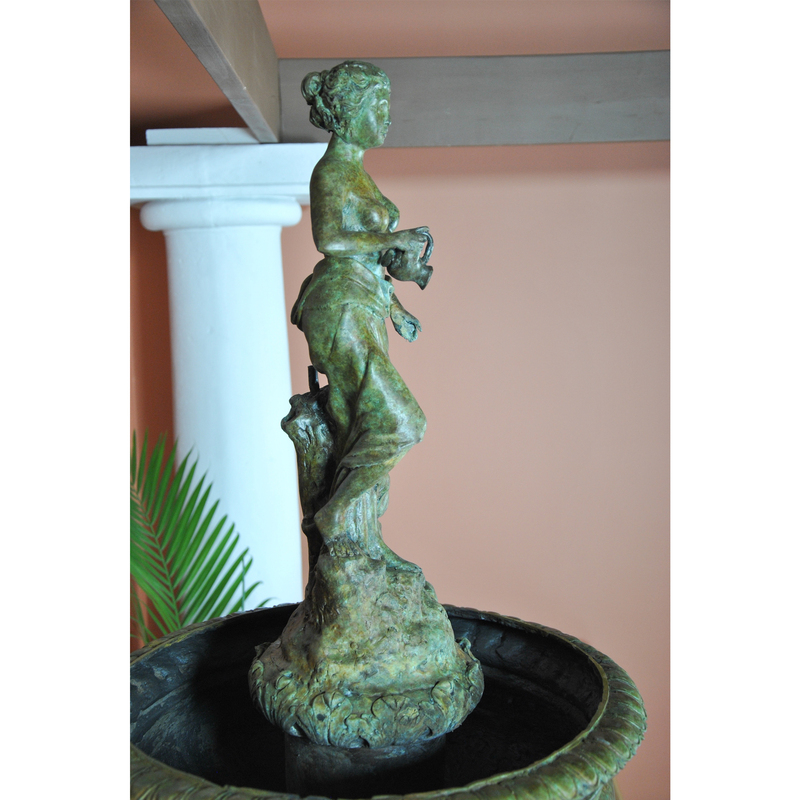 Ideal for display in the garden our Bronze Lady on Fish Base Fountain will also be at home in larger, oversized indoor spaces as well.